As a business owner, you have to comply with tax and legal regulations. But between tax requirements, deadlines, and registering your business, it can be difficult to navigate what, exactly, you’re supposed to do. That’s why we put together this quick guide on how to start a business. It covers US regulations and taxes – what and where you may need to register, taxes to file, and deadlines to remember. Keep in mind that we’re not accountants or legal experts, so this shouldn’t be used as professional advice. Use it instead as a starting off point to learn some basic information. Our recommendation is always to consult a professional for information specific to your circumstances. With that being said, let’s dive in! The first thing you should do is look into registering your business and choosing your business model or structure. This is the most common form of business in the US. With a sole proprietorship, there is no legal distinction between the company and the individual who owns it and runs it. Taxes are filed under the individual owning the sole proprietorship, and the owner is personally liable for everything the company does. 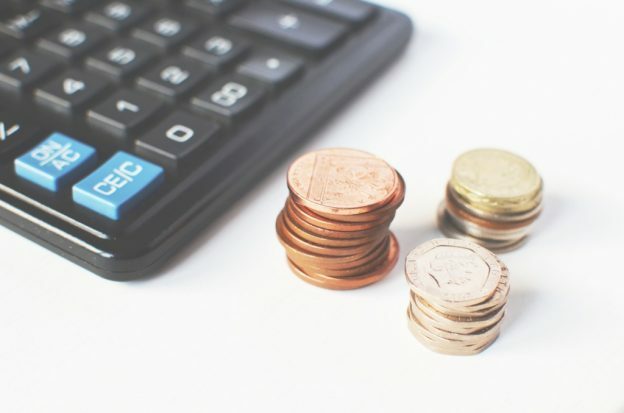 Sole proprietorships are easy to set up and it doesn’t require a lot of paperwork, but a downside is that you’re legally and financially liable for your business. A partnership is a business that has two or more owners. Each person contributes money, property, labor, or skill, and shares in the profits and losses of the business. Partnerships are beneficial in the sense that you share costs and responsibilities with someone else. But a drawback is that depending on the type of partnership, parties involved are financially and legally liable. Things can also get messy if there’s a falling out or conflict between partners. An LLC is known as a “hybrid” entity. That’s because it combines limited liability with a flexible structure. LLCs provide some protection for your personal property and have a straightforward taxation process. Each state has different regulations, so check with your state if you’re interested in going this route. You should also consult a lawyer or a certified public accountant, since starting an LLC is more complicated than forming a partnership or sole proprietorship. A corporation (or C corporation) is a business organization that is considered a separate entity from its owners. Owners of a corporation aren’t personally liable for the contractual obligations, debts, negligence, or wrongful acts of the corporation. Corporations are more difficult to form and maintain – check with your state’s laws for how to go about it. Corporations file all taxes separately from its shareholders (the owners of the corporation). It’s possible for corporations to be taxed twice (corporation pays taxes on profits, shareholder pays on personal income), which is why some business owners opt for an S corporation. An S corporation is similar to a C corporation, but one of the main differences is that it doesn’t get taxed twice. Take some time to consider in which state you’ll register your ecommerce business. You can register in any state you want, but it’s easier to register in a state where you have a presence (more on that later!). You can register on your own by filling out the appropriate paperwork from the IRS or hire a service to do it for you. Once you’ve filled out state-level paperwork and registered your business, you may need to register your business on a federal level. This involves getting a federal tax number for your business – also known as an Employer Identification Number (EIN) or Federal Employer Identification Number (FEIN). It’s used for identification purposes and for paying taxes at the state and federal level. This isn’t always mandatory, like if you’re a sole proprietorship. With this business structure, you can use your own Social Security Number as a tax ID instead. You can apply for an EIN online. The application form is straightforward and you’ll get your EIN on the same day. Consult a tax professional to find out whether or not you need to get an EIN. Registering for the right licenses and permits is a must for a business to operate legally. Check with your city, county, and state to see what sorts of licenses you need and get those approved before you start operating. One example of this is a home business license. The important permit that you should definitely look into is a Seller’s permit. This lets you charge your customers sales tax on orders where you’re liable to collect. Seller’s will need to get a permit from states where they have a presence or nexus. The application process and fees are different for each state. If you have a seller permit, then you should also submit a resale certificate to Printful (and your other suppliers) so we don’t charge you sales tax. Buckle up – more about sales tax in the next section! 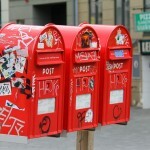 Understanding sales tax can be complicated, especially in ecommerce. The first thing you need to understand is in which states you need to charge and remit sales tax, and apply for a permit for those states. States where you make enough sales, in dollars or transactions. You can find a more expansive definition of nexus, including different types like affiliate or click-through nexus, on TaxJar’s guide to sales tax. Printful has nexus in most states, meaning we charge you sales tax for orders to these states. You should submit a resale certificate for each state you wish to become exempt from. Tax rates and laws are different in each state, so consider consulting a tax professional to make sure you’re meeting the requirements. You can take a look at Printful’s sales tax FAQs here. VAT is a consumption tax that’s added to goods and services at every stage of the supply chain. It applies to goods and services that are bought and sold for use or consumption in the European Union. You should look into VAT requirements if you sell products to customers in the EU. 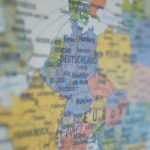 If you’re located in the EU, you only have to register for a VAT ID and charge VAT if your sales reach a certain threshold. If you’re based in the US, you may need to register and remit VAT if you sell products to customers in the EU, regardless of your threshold. The format, reporting criteria, and filing deadlines depend on the country that you register in. Most VAT returns are filed on either a monthly or quarterly basis. VAT returns still need to be filed during periods where no taxable activity has taken place, just report zero transactions. Take a look at Printful’s VAT info here. All orders being shipped to Australia are charged 10% GST unless GST was already charged by your marketplace. If you are not an Australian resident, you should keep an eye on your sales threshold to Australia. 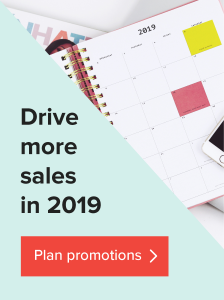 Once you reached $75,000 (AUS) in sales in a 12-month period, you should consult a tax specialist and read the Australian Tax Authority resources. You may have to start charging GST and remitting it to the government. If you’re an Australian resident and have an Australian Business Number (ABN) and confirmation that you are GST-registered, you can submit them to Printful and become exempt from GST. You then have to charge their end-customers GST. These are some of the other taxes you should look into. It may be worth your time to talk to a professional about what you’re liable to file for yourself and your employees if you have any. Take a look at this guide from the IRS if you want to learn more details. Income tax – Typically when you’re an employee, your employer will withhold income tax from your paychecks. When you’re self-employed, you likely have to pay quarterly estimated tax and then file your annual return. Some states may also require you pay income tax at the state level. Self-employment (SE) tax – This is a social security and Medicare tax primarily for those who work for themselves, like sole proprietorships. SE tax contributes to your coverage under the social security system. 1099 forms – There are several 1099 forms you may be eligible to file, but the most common in ecommerce is the 1099-MISC. This is needed if you paid an independent contractor more than $600 during the tax year. You might be liable to pay other taxes not mentioned here, so consult legal advisors to find out! It’s important that your books are up to date and organized. This gives you an accurate view of your business’s income and expenses, and it’ll come in handy in case of an audit. You can hire a professional or use online accounting software to do your bookkeeping. One of the more popular options is QuickBooks (disclaimer: this is an affiliate link). Or if you have the time and feel confident enough to do it yourself, that’s always an option! If your books aren’t accurate, you run the risk of giving incorrect info to the IRS, which goes without saying, isn’t a good thing. These are some of the deadlines you should keep in mind for filing your taxes. They’re USA-only deadlines, so research other countries where you’re liable to pay! Your sales tax due dates come down to your individual sales tax situation. States require sellers to pay at intervals — usually monthly, quarterly, or annually — and every state is different. You’ll be assigned sales tax filing due dates when you apply for your sales tax permit at your state’s department of revenue. Take a look at the IRS tax calendar here. Most VAT returns are filed on either a monthly or quarterly basis. Deadlines differ from country to country. For example in Germany, monthly or quarterly VAT filing is due on the 10th of the month following the previous period’s end. 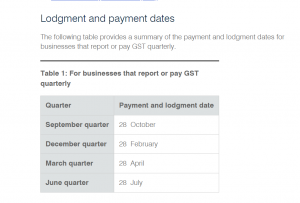 Monthly – if your GST turnover is $20 million or more. 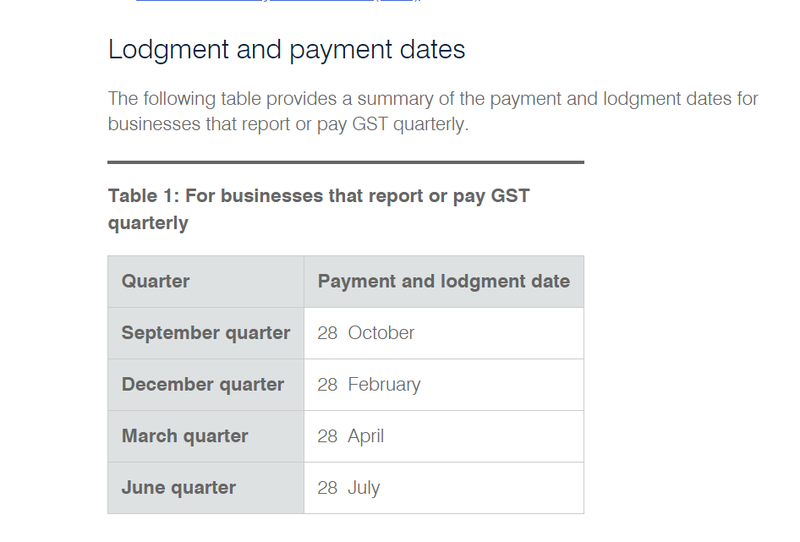 Quarterly – if your GST turnover is less than $20 million – and we have not told you that you must report monthly. And finally – it’s always a good idea to talk to a professional and make sure your business is in top shape, from a tax and legal perspective. This likely sounds like a broken record at this point, but we can’t stress it enough! If you’re operating from a country other than the US, then also look up requirements there, as they’ll definitely be different. Remember that your online store is a business, so hold it to that standard! Register your business, apply for the permits you need, and file your taxes. Want to learn more about launching an online store? Check out our ebook. Nora covers all things ecommerce for the Printful blog. She appreciates good dad jokes, new books, freshly baked cookies, and evening jogs. Wow, a lot of great information there on starting a business. So much that I had to bookmark your article so as to return to it at various stages. Funny how at the end you said consult a professional with what you have said I believed you were. This is awesome for people who want to start a business of their own. Thank you for sharing this guide. Kudos to you. I am a youngster and wish to start a business, is there an age limit? or would I need someone older legally responsible so to speak. By the way 17. thanks in advance. Generally, there are no age restrictions for starting a business. But there might be a few when it comes to signing different agreements, managing taxes, etc. Minors in many states in the U.S. cannot be held to contracts they sign, so most of your counterparties who are professional and versed in contract law will expect you to have someone of age be liable for your contracts, until you are. What is the GDPR and What Does it Mean for Your Online Store? 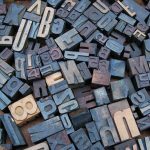 Copyright 101: Can I Print That?